Make your own bag to showcase your unique style and creativity. With Garment Printing you can customise any type of bag you want. We have a vast choice of school bags, luggage, sports, laptop and even tote bags. In our catalogue, you can choose the style and colour you wish. If you’re looking for a stylish giveaway during a company event, tote bags are a perfect choice. We have printed many tote bags in the past for different clients, you can see their reviews in our case study section. Having your logo on the employees’ laptop bags or even on luggage if you work in the travel industry it can significantly increase your brand awareness and attract new clients. We have a selection of bags suited for any type of industry. For gym workers and sports teams, we have sports bags. You can print your logo and even website address on them using different printing techniques. If you operate in the travel industry, customised luggage can have a great impact on your brand visibility. And the most versatile type of bags is tote, you can use for any industry and occasion. It is the cheapest option, and we even have discounts for bulk orders. 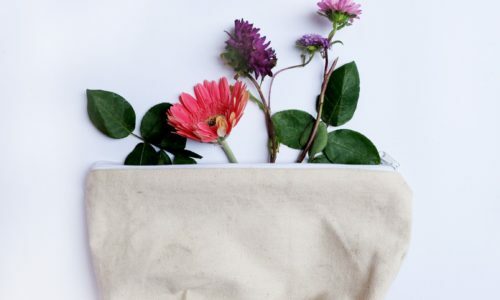 For companies with strong CSR, we have our collection of organic bags that you can customise using the water-based printing technique. Water-based inks work well with cotton, polyester and poly-cotton blends. Due to the minimal hand of water-based prints, very large and detailed designs printed onto a garment will feel light and thin, while the same design printed using plastisol inks will be much heavier because of the thickness of the ink layers. If you’re not sure on the type of garment or printing technique to use, we have a team of experts happy to help! You can contact them using our online form, and you’ll get a reply within 15 minutes during work times. We offer lots of other accessories and clothes that can be personalised. Call our team today on 0207 101 9315 for more information, we're always happy to help and look forward to exceeding your expectations.